Mike B. – We love South Elgin Budokan. The staff is incredible and all the teachers are very helpful and patient with us new comers! Most importantly, you will not feel intimidated at all. The instructors for T-Th 4-6 year-old group might be the most patient on the planet. You can tell they find joy (and humor) in teaching the littlest students! Our daughter counts down the days until she can go to class and learn something new! I’m so glad we signed her up! Jennifer J. – South Elgin Budokan is a very special and rare martial arts and fitness school. The broad range of martial arts that are taught there is like nothing else I’ve seen in the area. They have an extraordinary team of experienced instructors teaching classes in just about any martial art you could want to learn. This provides the unique opportunity to cross-train in multiple styles with the familiarity of a single facility. They have classes that can accommodate complete beginners through black belt/black sash+ levels, so wherever you are on your journey, the Budokan has something for you. The school is set up nicely with lots of space for classes, and easy seating for viewing by parents & friends. The facility is well-provisioned with training tools, nicely maintained, clean, and thoughtfully designed – you can tell that people with lots of experience and appreciation for *real* training put this floor plan together. On top of all of the great classes on offer every day, they also bring in guest instructors for seminars that are incredible opportunities for anyone wanting to experience an art or delve deeper into an art in which they are already accomplished. Martial arts students in the area are incredibly lucky to have this school. It’s a genuine treasure. Pat N. – I went to a Women’s Self Defense Seminar on Saturday. It was a great experience. I recommend it to girls and women of all ages. 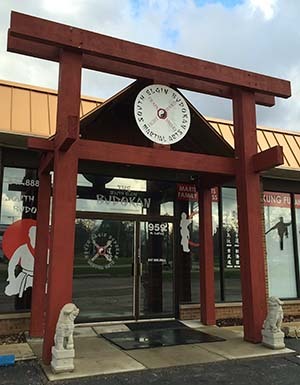 John L. – As a current student of Bujutsu and a Black Belt in Shotokan Karate I highly recommend The South Elgin Budokan for new or experienced Martial Artists. 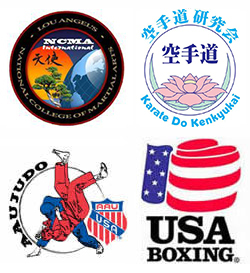 The combination of a wide variety of martial arts classes, top notch instruction, state of the art training facility and realistic training methods make this a very unique Martial Arts School. In addition, everyone is treated with respect and care is taken to ensure that training is conducted in the safest manner possible. Shala D. – We love this place! Excellent coaches and great atmosphere. Everyone is welcome to try a class for free!